#1 FACTORY CERTIFIED NISSAN DEALER IN NEW ENGLAND! Clean CARFAX. CLEAN CARFAX/NO ACCIDENTS REPORTED, LOCAL TRADE, Rogue S AWD, 4D Sport Utility, 2.5L I4 DOHC 16V, CVT, AWD, Blue, Gray w/Cloth Seat Trim. Our Sales, Service and Parts Departments work closely together to provide you with the most enjoyable, least stressful car-buying experience possible. The average tenure for our sales people, managers, technicians and all other employees is over 20 years. Most of them have been career employees of Manchester City Nissan - and with that much experience, you can be sure they'll provide you with the highest quality care for you and your vehicle. We are also proud to be a Better Business Bureau Accredited Business with an A+ rating. #1 FACTORY CERTIFIED NISSAN DEALER IN NEW ENGLAND! Certified. Nissan Certified Pre-Owned Details: * Vehicle History * Limited Warranty: 84 Month/100,000 Mile (whichever comes first) from original in-service date * Includes Car Rental and Trip Interruption Reimbursement * Roadside Assistance * 167 Point Inspection * Transferable Warranty (between private parties) * Warranty Deductible: $50 Clean CARFAX. CLEAN CARFAX/NO ACCIDENTS REPORTED, REMAINDER OF FACTORY WARRANTY, BACK UP CAMERA, BLUETOOTH/HANDS FREE/CELL PHONE, NISSAN FACTORY CERTIFIED, Rogue S AWD Certified, 4D Sport Utility, 2.5L I4 DOHC 16V, CVT with Xtronic, AWD, Super Black, Charcoal w/Cloth Seat Trim. Our Sales, Service and Parts Departments work closely together to provide you with the most enjoyable, least stressful car-buying experience possible. The average tenure for our sales people, managers, technicians and all other employees is over 20 years. Most of them have been career employees of Manchester City Nissan - and with that much experience, you can be sure they'll provide you with the highest quality care for you and your vehicle. We are also proud to be a Better Business Bureau Accredited Business with an A+ rating. #1 FACTORY CERTIFIED NISSAN DEALER IN NEW ENGLAND! Certified. Nissan Certified Pre-Owned Details: * Limited Warranty: 84 Month/100,000 Mile (whichever comes first) from original in-service date * Transferable Warranty (between private parties) * Includes Car Rental and Trip Interruption Reimbursement * Warranty Deductible: $50 * Vehicle History * Roadside Assistance * 167 Point Inspection Clean CARFAX. CARFAX One-Owner. Priced below KBB Fair Purchase Price! CLEAN CARFAX/NO ACCIDENTS REPORTED, ONE OWNER, REMAINDER OF FACTORY WARRANTY, BACK UP CAMERA, BLUETOOTH/HANDS FREE/CELL PHONE, HEATED SEATS, NISSAN FACTORY CERTIFIED, HEATED AND COOLED SEATS, PORTABLE AUDIO CONECTION, Rogue S AWD Certified, 4D Sport Utility, 2.5L I4 DOHC 16V, CVT with Xtronic, AWD, Gray, Charcoal w/Cloth Seat Trim. Awards: * 2017 KBB.com 10 Best SUVs Under $25,000 Our Sales, Service and Parts Departments work closely together to provide you with the most enjoyable, least stressful car-buying experience possible. The average tenure for our sales people, managers, technicians and all other employees is over 20 years. Most of them have been career employees of Manchester City Nissan - and with that much experience, you can be sure they'll provide you with the highest quality care for you and your vehicle. We are also proud to be a Better Business Bureau Accredited Business with an A+ rating. #1 FACTORY CERTIFIED NISSAN DEALER IN NEW ENGLAND! Certified. Nissan Certified Pre-Owned Details: * 167 Point Inspection * Transferable Warranty (between private parties) * Limited Warranty: 84 Month/100,000 Mile (whichever comes first) from original in-service date * Includes Car Rental and Trip Interruption Reimbursement * Warranty Deductible: $50 * Vehicle History * Roadside Assistance Clean CARFAX. CARFAX One-Owner. CLEAN CARFAX/NO ACCIDENTS REPORTED, ONE OWNER, REMAINDER OF FACTORY WARRANTY, BACK UP CAMERA, BLUETOOTH/HANDS FREE/CELL PHONE, NISSAN FACTORY CERTIFIED, Rogue S CERTIFIED, 4D Sport Utility, 2.5L I4 DOHC 16V, CVT with Xtronic, FWD. Awards: * 2017 KBB.com 10 Best SUVs Under $25,000 Our Sales, Service and Parts Departments work closely together to provide you with the most enjoyable, least stressful car-buying experience possible. The average tenure for our sales people, managers, technicians and all other employees is over 20 years. Most of them have been career employees of Manchester City Nissan - and with that much experience, you can be sure they'll provide you with the highest quality care for you and your vehicle. We are also proud to be a Better Business Bureau Accredited Business with an A+ rating. #1 FACTORY CERTIFIED NISSAN DEALER IN NEW ENGLAND! Certified. Nissan Certified Pre-Owned Details: * Warranty Deductible: $50 * 167 Point Inspection * Vehicle History * Roadside Assistance * Limited Warranty: 84 Month/100,000 Mile (whichever comes first) from original in-service date * Includes Car Rental and Trip Interruption Reimbursement * Transferable Warranty (between private parties) Clean CARFAX. Priced below KBB Fair Purchase Price! CLEAN CARFAX/NO ACCIDENTS REPORTED, BACK UP CAMERA, NAVIGATION/NAV/GPS, BLUETOOTH/HANDS FREE/CELL PHONE, NISSAN FACTORY CERTIFIED, Rogue SV Certified AWD, 4D Sport Utility, 2.5L I4 DOHC 16V, CVT with Xtronic, AWD, White, Almond w/Cloth Seat Trim, ABS brakes, Alloy wheels, Electronic Stability Control, Front dual zone A/C, Illuminated entry, Low tire pressure warning, Navigation System, Remote keyless entry, Traction control. Our Sales, Service and Parts Departments work closely together to provide you with the most enjoyable, least stressful car-buying experience possible. The average tenure for our sales people, managers, technicians and all other employees is over 20 years. Most of them have been career employees of Manchester City Nissan - and with that much experience, you can be sure they'll provide you with the highest quality care for you and your vehicle. We are also proud to be a Better Business Bureau Accredited Business with an A+ rating. #1 FACTORY CERTIFIED NISSAN DEALER IN NEW ENGLAND! Certified. Nissan Certified Pre-Owned Details: * Warranty Deductible: $50 * 167 Point Inspection * Includes Car Rental and Trip Interruption Reimbursement * Roadside Assistance * Transferable Warranty (between private parties) * Vehicle History * Limited Warranty: 84 Month/100,000 Mile (whichever comes first) from original in-service date Clean CARFAX. CARFAX One-Owner. Priced below KBB Fair Purchase Price! CLEAN CARFAX/NO ACCIDENTS REPORTED, ONE OWNER, REMAINDER OF FACTORY WARRANTY, BACK UP CAMERA, BLUETOOTH/HANDS FREE/CELL PHONE, NISSAN FACTORY CERTIFIED, Rogue S AWD Certified, 4D Sport Utility, 2.5L I4 DOHC 16V, CVT with Xtronic, AWD, Red, Charcoal w/Cloth Seat Trim. Awards: * 2017 KBB.com 10 Best SUVs Under $25,000 Our Sales, Service and Parts Departments work closely together to provide you with the most enjoyable, least stressful car-buying experience possible. The average tenure for our sales people, managers, technicians and all other employees is over 20 years. Most of them have been career employees of Manchester City Nissan - and with that much experience, you can be sure they'll provide you with the highest quality care for you and your vehicle. We are also proud to be a Better Business Bureau Accredited Business with an A+ rating. #1 FACTORY CERTIFIED NISSAN DEALER IN NEW ENGLAND! Certified. Nissan Certified Pre-Owned Details: * Limited Warranty: 84 Month/100,000 Mile (whichever comes first) from original in-service date * Roadside Assistance * Warranty Deductible: $50 * Includes Car Rental and Trip Interruption Reimbursement * Vehicle History * 167 Point Inspection * Transferable Warranty (between private parties) Clean CARFAX. CARFAX One-Owner. Priced below KBB Fair Purchase Price! CLEAN CARFAX/NO ACCIDENTS REPORTED, ONE OWNER, REMAINDER OF FACTORY WARRANTY, BACK UP CAMERA, BLUETOOTH/HANDS FREE/CELL PHONE, NISSAN FACTORY CERTIFIED, Rogue S AWD Certified, 4D Sport Utility, 2.5L I4 DOHC 16V, CVT with Xtronic, AWD, White, Charcoal w/Cloth Seat Trim. Awards: * 2017 KBB.com 10 Best SUVs Under $25,000 Our Sales, Service and Parts Departments work closely together to provide you with the most enjoyable, least stressful car-buying experience possible. The average tenure for our sales people, managers, technicians and all other employees is over 20 years. Most of them have been career employees of Manchester City Nissan - and with that much experience, you can be sure they'll provide you with the highest quality care for you and your vehicle. We are also proud to be a Better Business Bureau Accredited Business with an A+ rating. #1 FACTORY CERTIFIED NISSAN DEALER IN NEW ENGLAND! Certified. Nissan Certified Pre-Owned Details: * Vehicle History * Limited Warranty: 84 Month/100,000 Mile (whichever comes first) from original in-service date * Warranty Deductible: $50 * Includes Car Rental and Trip Interruption Reimbursement * Transferable Warranty (between private parties) * 167 Point Inspection * Roadside Assistance Clean CARFAX. CARFAX One-Owner. Priced below KBB Fair Purchase Price! CLEAN CARFAX/NO ACCIDENTS REPORTED, ONE OWNER, REMAINDER OF FACTORY WARRANTY, BACK UP CAMERA, BLUETOOTH/HANDS FREE/CELL PHONE, NISSAN FACTORY CERTIFIED, Rogue S AWD Certified, 4D Sport Utility, 2.5L I4 DOHC 16V, CVT with Xtronic, AWD, White. Awards: * 2017 KBB.com 10 Best SUVs Under $25,000 Our Sales, Service and Parts Departments work closely together to provide you with the most enjoyable, least stressful car-buying experience possible. The average tenure for our sales people, managers, technicians and all other employees is over 20 years. Most of them have been career employees of Manchester City Nissan - and with that much experience, you can be sure they'll provide you with the highest quality care for you and your vehicle. We are also proud to be a Better Business Bureau Accredited Business with an A+ rating. #1 FACTORY CERTIFIED NISSAN DEALER IN NEW ENGLAND! Certified. Nissan Certified Pre-Owned Details: * Vehicle History * Warranty Deductible: $50 * Roadside Assistance * Transferable Warranty (between private parties) * 167 Point Inspection * Includes Car Rental and Trip Interruption Reimbursement * Limited Warranty: 84 Month/100,000 Mile (whichever comes first) from original in-service date CARFAX One-Owner. ONE OWNER, BACK UP CAMERA, NAVIGATION/NAV/GPS, BLUETOOTH/HANDS FREE/CELL PHONE, LEATHER, LOCAL TRADE, Rogue SL AWD CERTIFIED, 4D Sport Utility, 2.5L I4 DOHC 16V, CVT with Xtronic, AWD, ABS brakes, Alloy wheels, Electronic Stability Control, Front dual zone A/C, Heated door mirrors, Heated Front Bucket Seats, Heated front seats, Illuminated entry, Low tire pressure warning, Navigation System, Power Liftgate, Remote keyless entry, Traction control. Our Sales, Service and Parts Departments work closely together to provide you with the most enjoyable, least stressful car-buying experience possible. The average tenure for our sales people, managers, technicians and all other employees is over 20 years. Most of them have been career employees of Manchester City Nissan - and with that much experience, you can be sure they'll provide you with the highest quality care for you and your vehicle. We are also proud to be a Better Business Bureau Accredited Business with an A+ rating. #1 FACTORY CERTIFIED NISSAN DEALER IN NEW ENGLAND! Certified. Nissan Certified Pre-Owned Details: * Limited Warranty: 84 Month/100,000 Mile (whichever comes first) from original in-service date * 167 Point Inspection * Roadside Assistance * Warranty Deductible: $50 * Includes Car Rental and Trip Interruption Reimbursement * Transferable Warranty (between private parties) * Vehicle History Clean CARFAX. CARFAX One-Owner. Priced below KBB Fair Purchase Price! CLEAN CARFAX/NO ACCIDENTS REPORTED, ONE OWNER, BACK UP CAMERA, BLUETOOTH/HANDS FREE/CELL PHONE, NISSAN FACTORY CERTIFIED, Rogue S Certified AWD, 4D Sport Utility, 2.5L I4 DOHC 16V, CVT with Xtronic, AWD, Caspian Blue, Charcoal w/Cloth Seat Trim. Awards: * 2017 KBB.com 10 Best SUVs Under $25,000 Our Sales, Service and Parts Departments work closely together to provide you with the most enjoyable, least stressful car-buying experience possible. The average tenure for our sales people, managers, technicians and all other employees is over 20 years. Most of them have been career employees of Manchester City Nissan - and with that much experience, you can be sure they'll provide you with the highest quality care for you and your vehicle. We are also proud to be a Better Business Bureau Accredited Business with an A+ rating. #1 FACTORY CERTIFIED NISSAN DEALER IN NEW ENGLAND! Certified. Nissan Certified Pre-Owned Details: * Roadside Assistance * 167 Point Inspection * Vehicle History * Transferable Warranty (between private parties) * Warranty Deductible: $50 * Includes Car Rental and Trip Interruption Reimbursement * Limited Warranty: 84 Month/100,000 Mile (whichever comes first) from original in-service date Clean CARFAX. CARFAX One-Owner. Priced below KBB Fair Purchase Price! CLEAN CARFAX/NO ACCIDENTS REPORTED, ONE OWNER, BACK UP CAMERA, BLUETOOTH/HANDS FREE/CELL PHONE, NISSAN FACTORY CERTIFIED, Rogue S AWD CERTIFIED, 4D Sport Utility, 2.5L I4 DOHC 16V, CVT with Xtronic, AWD, Silver, Charcoal w/Cloth Seat Trim. Awards: * 2017 KBB.com 10 Best SUVs Under $25,000 Our Sales, Service and Parts Departments work closely together to provide you with the most enjoyable, least stressful car-buying experience possible. The average tenure for our sales people, managers, technicians and all other employees is over 20 years. Most of them have been career employees of Manchester City Nissan - and with that much experience, you can be sure they'll provide you with the highest quality care for you and your vehicle. We are also proud to be a Better Business Bureau Accredited Business with an A+ rating. #1 FACTORY CERTIFIED NISSAN DEALER IN NEW ENGLAND! Certified. Nissan Certified Pre-Owned Details: * Vehicle History * Warranty Deductible: $50 * Roadside Assistance * Transferable Warranty (between private parties) * Limited Warranty: 84 Month/100,000 Mile (whichever comes first) from original in-service date * Includes Car Rental and Trip Interruption Reimbursement * 167 Point Inspection Clean CARFAX. CLEAN CARFAX/NO ACCIDENTS REPORTED, ONE OWNER, REMAINDER OF FACTORY WARRANTY, BACK UP CAMERA, BLUETOOTH/HANDS FREE/CELL PHONE, NISSAN FACTORY CERTIFIED, Rogue S AWD CERTIFIED, 4D Sport Utility, 2.5L I4 DOHC 16V, CVT with Xtronic, AWD, Brilliant Silver, Charcoal w/Cloth Seat Trim. Awards: * 2017 KBB.com 10 Best SUVs Under $25,000 Our Sales, Service and Parts Departments work closely together to provide you with the most enjoyable, least stressful car-buying experience possible. The average tenure for our sales people, managers, technicians and all other employees is over 20 years. Most of them have been career employees of Manchester City Nissan - and with that much experience, you can be sure they'll provide you with the highest quality care for you and your vehicle. We are also proud to be a Better Business Bureau Accredited Business with an A+ rating. #1 FACTORY CERTIFIED NISSAN DEALER IN NEW ENGLAND! Certified. Nissan Certified Pre-Owned Details: * Roadside Assistance * Warranty Deductible: $50 * Includes Car Rental and Trip Interruption Reimbursement * Limited Warranty: 84 Month/100,000 Mile (whichever comes first) from original in-service date * 167 Point Inspection * Vehicle History * Transferable Warranty (between private parties) Clean CARFAX. CARFAX One-Owner. Priced below KBB Fair Purchase Price! CLEAN CARFAX/NO ACCIDENTS REPORTED, ONE OWNER, REMAINDER OF FACTORY WARRANTY, BACK UP CAMERA, BLUETOOTH/HANDS FREE/CELL PHONE, NISSAN FACTORY CERTIFIED, ALL WHEEL DRIVE, Rogue S AWD CERTIFIED, 4D Sport Utility, 2.5L I4 DOHC 16V, CVT with Xtronic, AWD, Glacier White, Charcoal w/Cloth Seat Trim. Odometer is 4373 miles below market average! Our Sales, Service and Parts Departments work closely together to provide you with the most enjoyable, least stressful car-buying experience possible. The average tenure for our sales people, managers, technicians and all other employees is over 20 years. Most of them have been career employees of Manchester City Nissan - and with that much experience, you can be sure they'll provide you with the highest quality care for you and your vehicle. We are also proud to be a Better Business Bureau Accredited Business with an A+ rating. #1 FACTORY CERTIFIED NISSAN DEALER IN NEW ENGLAND! Certified. Nissan Certified Pre-Owned Details: * Warranty Deductible: $50 * Vehicle History * Transferable Warranty (between private parties) * Limited Warranty: 84 Month/100,000 Mile (whichever comes first) from original in-service date * 167 Point Inspection * Includes Car Rental and Trip Interruption Reimbursement * Roadside Assistance Clean CARFAX. CARFAX One-Owner. Priced below KBB Fair Purchase Price! CLEAN CARFAX/NO ACCIDENTS REPORTED, ONE OWNER, BACK UP CAMERA, BLUETOOTH/HANDS FREE/CELL PHONE, NISSAN FACTORY CERTIFIED, REMOTE START, Rogue SV Certified AWD, 4D Sport Utility, 2.5L I4 DOHC 16V, CVT with Xtronic, AWD, Brilliant Silver, Charcoal w/Cloth Seat Trim. Odometer is 6092 miles below market average! Our Sales, Service and Parts Departments work closely together to provide you with the most enjoyable, least stressful car-buying experience possible. The average tenure for our sales people, managers, technicians and all other employees is over 20 years. 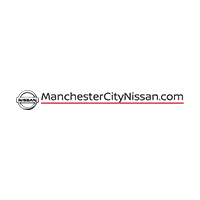 Most of them have been career employees of Manchester City Nissan - and with that much experience, you can be sure they'll provide you with the highest quality care for you and your vehicle. We are also proud to be a Better Business Bureau Accredited Business with an A+ rating. #1 FACTORY CERTIFIED NISSAN DEALER IN NEW ENGLAND! Certified. Nissan Certified Pre-Owned Details: * Roadside Assistance * Vehicle History * Limited Warranty: 84 Month/100,000 Mile (whichever comes first) from original in-service date * Includes Car Rental and Trip Interruption Reimbursement * Transferable Warranty (between private parties) * 167 Point Inspection * Warranty Deductible: $50 Clean CARFAX. CARFAX One-Owner. Priced below KBB Fair Purchase Price! CLEAN CARFAX/NO ACCIDENTS REPORTED, ONE OWNER, REMAINDER OF FACTORY WARRANTY, BACK UP CAMERA, BLUETOOTH/HANDS FREE/CELL PHONE, HEATED SEATS, NISSAN FACTORY CERTIFIED, STEERING WHEEL CONTROLS, PORTABLE AUDIO CONECTION, FORWARD EMERGENCY BRAKING, BLIND SPOT MONITORING, REMOTE START, Rogue SV AWD Certified, 4D Sport Utility, 2.5L I4 DOHC 16V, CVT with Xtronic, AWD, Gray. Our Sales, Service and Parts Departments work closely together to provide you with the most enjoyable, least stressful car-buying experience possible. The average tenure for our sales people, managers, technicians and all other employees is over 20 years. Most of them have been career employees of Manchester City Nissan - and with that much experience, you can be sure they'll provide you with the highest quality care for you and your vehicle. We are also proud to be a Better Business Bureau Accredited Business with an A+ rating. #1 FACTORY CERTIFIED NISSAN DEALER IN NEW ENGLAND! Certified. Nissan Certified Pre-Owned Details: * Includes Car Rental and Trip Interruption Reimbursement * Transferable Warranty (between private parties) * Limited Warranty: 84 Month/100,000 Mile (whichever comes first) from original in-service date * 167 Point Inspection * Roadside Assistance * Vehicle History * Warranty Deductible: $50 Clean CARFAX. CARFAX One-Owner. Priced below KBB Fair Purchase Price! CLEAN CARFAX/NO ACCIDENTS REPORTED, ONE OWNER, REMAINDER OF FACTORY WARRANTY, BACK UP CAMERA, BLUETOOTH/HANDS FREE/CELL PHONE, HEATED SEATS, NISSAN FACTORY CERTIFIED, STEERING WHEEL CONTROLS, PORTABLE AUDIO CONECTION, FORWARD EMERGENCY BRAKING, BLIND SPOT MONITORING, CROSS TRAFFIC ALERT, Rogue SV AWD Certified, 4D Sport Utility, 2.5L I4 DOHC 16V, CVT with Xtronic, AWD, White, Charcoal w/Cloth Seat Trim. Our Sales, Service and Parts Departments work closely together to provide you with the most enjoyable, least stressful car-buying experience possible. The average tenure for our sales people, managers, technicians and all other employees is over 20 years. Most of them have been career employees of Manchester City Nissan - and with that much experience, you can be sure they'll provide you with the highest quality care for you and your vehicle. We are also proud to be a Better Business Bureau Accredited Business with an A+ rating. #1 FACTORY CERTIFIED NISSAN DEALER IN NEW ENGLAND! Certified. Nissan Certified Pre-Owned Details: * Warranty Deductible: $50 * Roadside Assistance * 167 Point Inspection * Includes Car Rental and Trip Interruption Reimbursement * Limited Warranty: 84 Month/100,000 Mile (whichever comes first) from original in-service date * Vehicle History * Transferable Warranty (between private parties) Clean CARFAX. CARFAX One-Owner. Priced below KBB Fair Purchase Price! CLEAN CARFAX/NO ACCIDENTS REPORTED, ONE OWNER, REMAINDER OF FACTORY WARRANTY, BACK UP CAMERA, BLUETOOTH/HANDS FREE/CELL PHONE, NISSAN FACTORY CERTIFIED, Rogue SV CERTIFIED AWD, 4D Sport Utility, 2.5L I4 DOHC 16V, CVT with Xtronic, AWD, Black, Charcoal w/Cloth Seat Trim. Odometer is 1719 miles below market average! Our Sales, Service and Parts Departments work closely together to provide you with the most enjoyable, least stressful car-buying experience possible. The average tenure for our sales people, managers, technicians and all other employees is over 20 years. Most of them have been career employees of Manchester City Nissan - and with that much experience, you can be sure they'll provide you with the highest quality care for you and your vehicle. We are also proud to be a Better Business Bureau Accredited Business with an A+ rating. #1 FACTORY CERTIFIED NISSAN DEALER IN NEW ENGLAND! Certified. Nissan Certified Pre-Owned Details: * Transferable Warranty (between private parties) * Roadside Assistance * Includes Car Rental and Trip Interruption Reimbursement * 167 Point Inspection * Warranty Deductible: $50 * Limited Warranty: 84 Month/100,000 Mile (whichever comes first) from original in-service date * Vehicle History Clean CARFAX. CARFAX One-Owner. Priced below KBB Fair Purchase Price! CLEAN CARFAX/NO ACCIDENTS REPORTED, ONE OWNER, REMAINDER OF FACTORY WARRANTY, BACK UP CAMERA, BLUETOOTH/HANDS FREE/CELL PHONE, HEATED SEATS, NISSAN FACTORY CERTIFIED, STEERING WHEEL CONTROLS, PORTABLE AUDIO CONECTION, FORWARD EMERGENCY BRAKING, BLIND SPOT MONITORING, REMOTE START, Rogue SV AWD Certified, 4D Sport Utility, 2.5L I4 DOHC 16V, CVT with Xtronic, AWD, Silver, Charcoal w/Cloth Seat Trim. Our Sales, Service and Parts Departments work closely together to provide you with the most enjoyable, least stressful car-buying experience possible. The average tenure for our sales people, managers, technicians and all other employees is over 20 years. Most of them have been career employees of Manchester City Nissan - and with that much experience, you can be sure they'll provide you with the highest quality care for you and your vehicle. We are also proud to be a Better Business Bureau Accredited Business with an A+ rating. #1 FACTORY CERTIFIED NISSAN DEALER IN NEW ENGLAND! Certified. Nissan Certified Pre-Owned Details: * Vehicle History * 167 Point Inspection * Warranty Deductible: $50 * Includes Car Rental and Trip Interruption Reimbursement * Roadside Assistance * Transferable Warranty (between private parties) * Limited Warranty: 84 Month/100,000 Mile (whichever comes first) from original in-service date Clean CARFAX. CARFAX One-Owner. Priced below KBB Fair Purchase Price! CLEAN CARFAX/NO ACCIDENTS REPORTED, ONE OWNER, REMAINDER OF FACTORY WARRANTY, BACK UP CAMERA, BLUETOOTH/HANDS FREE/CELL PHONE, HEATED SEATS, NISSAN FACTORY CERTIFIED, STEERING WHEEL CONTROLS, PORTABLE AUDIO CONECTION, FORWARD EMERGENCY BRAKING, BLIND SPOT MONITORING, CROSS TRAFFIC ALERT, Rogue SV AWD Certified, 4D Sport Utility, 2.5L I4 DOHC 16V, CVT with Xtronic, AWD, Gray, Charcoal w/Cloth Seat Trim. Our Sales, Service and Parts Departments work closely together to provide you with the most enjoyable, least stressful car-buying experience possible. The average tenure for our sales people, managers, technicians and all other employees is over 20 years. Most of them have been career employees of Manchester City Nissan - and with that much experience, you can be sure they'll provide you with the highest quality care for you and your vehicle. We are also proud to be a Better Business Bureau Accredited Business with an A+ rating. #1 FACTORY CERTIFIED NISSAN DEALER IN NEW ENGLAND! Certified. Nissan Certified Pre-Owned Details: * Warranty Deductible: $50 * Roadside Assistance * Transferable Warranty (between private parties) * Includes Car Rental and Trip Interruption Reimbursement * Limited Warranty: 84 Month/100,000 Mile (whichever comes first) from original in-service date * 167 Point Inspection * Vehicle History Clean CARFAX. CARFAX One-Owner. CLEAN CARFAX/NO ACCIDENTS REPORTED, ONE OWNER, REMAINDER OF FACTORY WARRANTY, BACK UP CAMERA, BLUETOOTH/HANDS FREE/CELL PHONE, HEATED SEATS, NISSAN FACTORY CERTIFIED, STEERING WHEEL CONTROLS, PORTABLE AUDIO CONECTION, FORWARD EMERGENCY BRAKING, BLIND SPOT MONITORING, CROSS TRAFFIC ALERT, Rogue SV AWD Certified, 4D Sport Utility, 2.5L I4 DOHC 16V, CVT with Xtronic, AWD, Silver, Charcoal w/Cloth Seat Trim. Our Sales, Service and Parts Departments work closely together to provide you with the most enjoyable, least stressful car-buying experience possible. The average tenure for our sales people, managers, technicians and all other employees is over 20 years. Most of them have been career employees of Manchester City Nissan - and with that much experience, you can be sure they'll provide you with the highest quality care for you and your vehicle. We are also proud to be a Better Business Bureau Accredited Business with an A+ rating. There are used Nissan Rogue SUVs for sale in Manchester as part of the used car dealership inventory at Manchester City Nissan. If you’re thinking about upgrading your East Hartford commute with the Nissan Rogue, you’re making the right choice in a used SUV. No matter the model year, you can rely on the Nissan Rogue to provide sophisticated interior features, a capable towing capacity and advanced safety features for peace-of-mind on the Vernon roads. To save even more money when buying a used car in Manchester our Nissan dealership offers used car deals and the option of trading in your car to earn value towards your new Nissan Rogue purchase. Choosing a used Rogue is a choice you can’t go wrong with. The new 2019 Rogue has NissanConnect Services that are powered by SiriusXMⓇ. These services include Bluetooth connectivity, emergency calling, automatic collision notifications, and more! Browse our Nissan Rogue used cars for sale and take one for a test drive today. Each used car sold at Manchester City Nissan is thoroughly inspected by factory-certified mechanics so you can drive home in a used Nissan Rogue with a vehicle history report you can trust. Our used car dealership offers used vehicle offers for you to peruse. Explore our inventory of Rogue models, find the one with everything you’re looking for, and contact our Nissan dealership at Manchester City Nissan to test drive a pre-owned Nissan Rogue today!